How Will State Employers Deal With Stoned Workers? Now that Arizona voters have approved the use of medical marijuana, employers need new ways to deal with employees who are impaired for any reason, a state lawmaker said Tuesday, Feb. 15. “Employers were left with their hands tied because they didn’t know what to do when it came to dealing with impaired workers who came to the workplace,” Rep. Kimberly Yee, R-Phoenix, told the House Committee on Employment and Regulatory Affairs. Yee authored a bill, HB 2541, that would give employers the right to reassign or put on leave someone who works in a “safety-sensitive” position if they have a “good-faith belief” that person has used or intends to use a legal or illegal drug that causes impairment. Businesses would have immunity from litigation when taking any of the actions covered by the measure. The committee endorsed the bill on 6-2 vote despite concerns raised by dissenters and even some who voted in favor that the bill could grant employers too much power at the expense of employees’ rights. 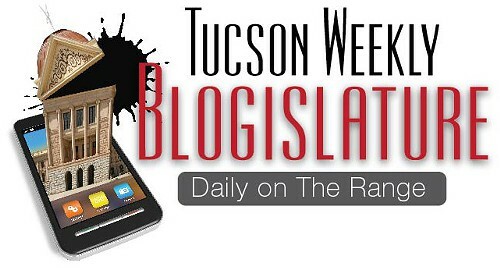 Rep. Sally Gonzales, D-Tucson, who dissented, called the measure overly broad. “I believe it gives too much power to employers and not enough to the employee,” she said. Rep. Daniel Patterson, D-Tucson, who also dissented, objected to the language shielding employers from litigation. “I think we should only be doing that in very limited circumstances,” he said. David A. Seldon, an attorney who crafted the bill on behalf of the Arizona Chamber of Commerce and Industry, said the measure is necessary for employers who want to make sure workplaces are safe and also comply with the medical marijuana law. Rep. Bob Robson, R-Chandler, the committee’s chairman, said he’s worried about the bill’s immunity guarantees for employers but said it’s important to help employers deal with a complicated situation. “I think, with all things said, this creates and understanding between employer and employee of what is right and wrong,” he said.